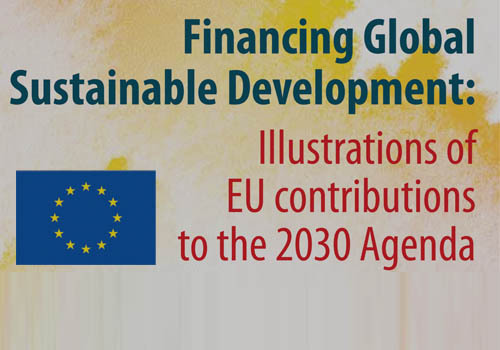 The EU brochure, “Financing Global Sustainable Development after 2015: Illustrations of Key EU Contributions” features the key contributions to financing the post 2015 agenda from the EU and its Member States. It focuses on the EU contributions to the following topics: domestic resources mobilization, blending, ODA, environment and climate, trade, science and innovation, remittances, sustainable agriculture and nutrition, energy, human development, gender, peaceful societies and the EU efforts targeted towards least developed countries. One of the themes in this overview of activities by the EU and its member states is “Sustainable agriculture and nutrition: The EU is acting to lift 500 million people in developing countries out of hunger and malnutrition by 2030. The Access to Seeds Index is mentioned as one of the initiatives contributing tot his effort: “The Netherlands is working on an initiative to develop the Access to Seeds Index, bridging the gap between the world’s leading seed companies and smallholder farmers.